Lot 72036. Gold Nugget "Lightning Bolt", Victoria, Australia; 10.63 x 2.36 x 1.43 inches (27.00 x 6.00 x 3.64 cm), 1,241 grams (39.9 oz t). Estimate: $70,000 - $100,000. 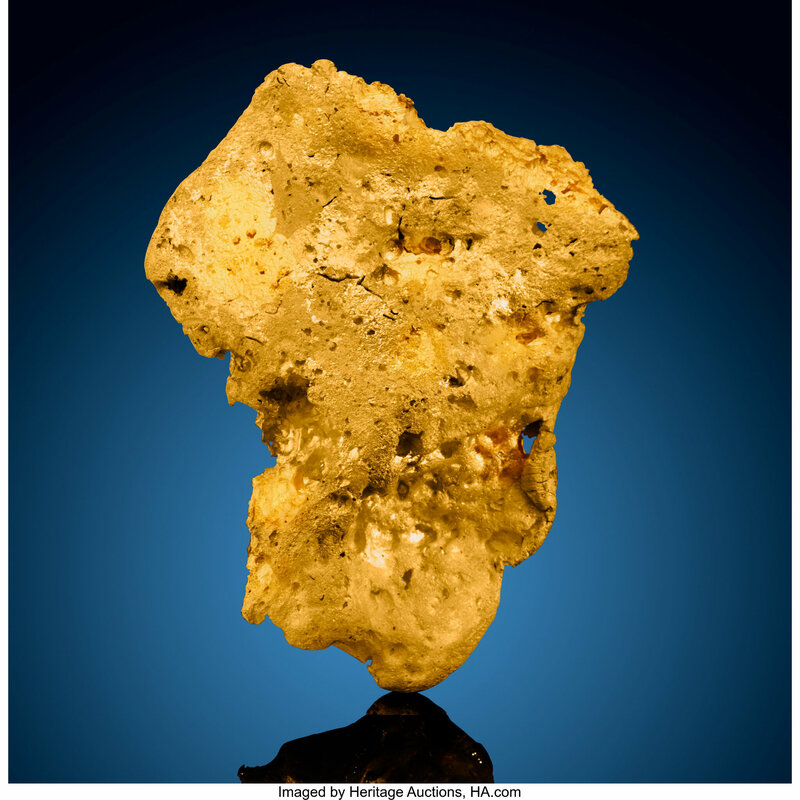 DALLAS, TX.- An enormous, 40-ounce gold nugget, nicknamed “Lightning Bolt” for its jolting, bright yellow glow and rarity beyond any diamond found on Earth, could take top lot honors in in Heritage Auctions’ Nature & Science Auction Aug. 18. The 11-inch nugget was discovered in Victoria, Australia, and experts have deemed the remarkable find a museum-quality specimen. 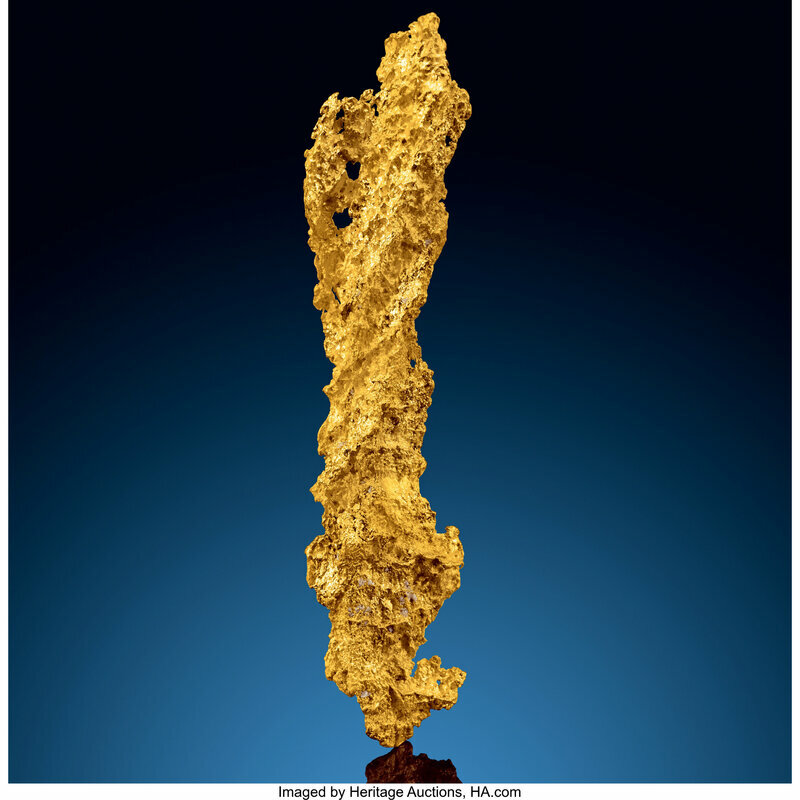 Weighing 39.9 troy ounces (43.8 ounces, or 1,241 grams), the “Lightning Bolt” (estimate: $70,000-100,000) is an absolute rarity, because of its size and aesthetic appearance, said Craig Kissick, Heritage Auctions’ Nature & Science Director. Gold has been prized for centuries by people who see it as a standard of value and/or wealth, or simply as a measure of status. It is so rare that it has been estimated that all of the Gold ever mined on the planet would fit into a cube measuring 20 meters along each edge. A set of five Tourmaline crystals from Paprok (Papruk Mine; Paprowk Mine) in the Kamdesh District, Nuristan Province in Afghanistan (estimate: $30,000-50,000) is a spectacular group from Paprok, a known source for exceptional specimens. Presented in matte sterling silver bases, this quintet of slender crystals offers vivid color, superb luster and excellent terminations, with each pillar – they range in height from 3-5 inches – exhibiting sidecar clusters of other minerals. The crystals are so aesthetically appealing that they can be displayed as a group or individually. Lot 72050. 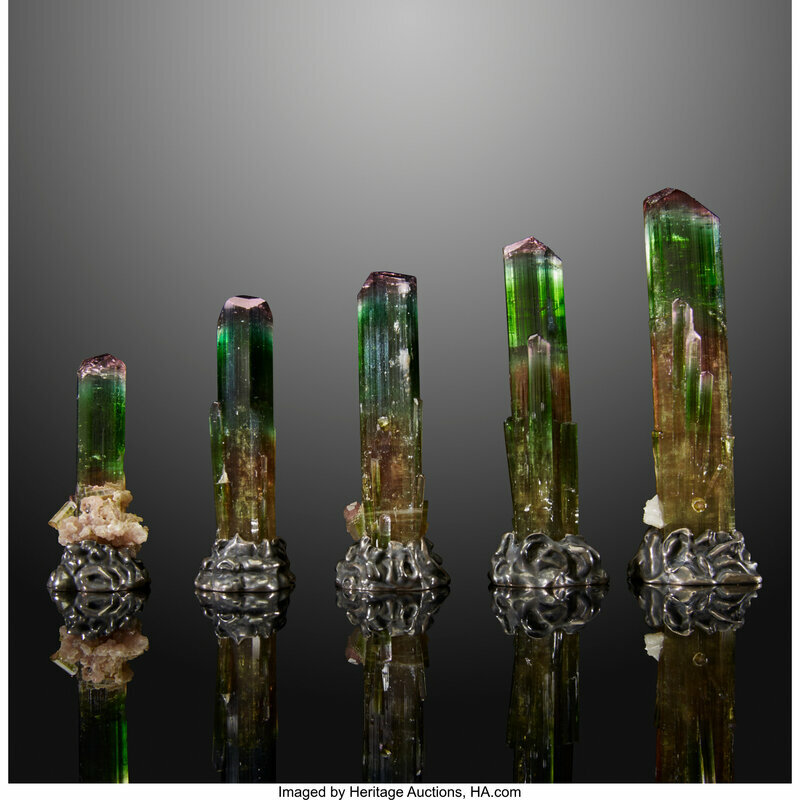 Tourmaline (Set of 5), Paprok (Papruk Mine; Paprowk Mine), Kamdesh District, Nuristan Province, Afghanistan,5.16 x 0.99 x 0.88 inches (13.10 x 2.51 x 2.24 cm). Estimate: $30,000 - $50,000. A complex cluster of minerals makes up an Azurite & Tarnowitzite from the Tsumeb Mine in Tsumeb, Oshikoto Region (Otjikoto Region), Namibia, which carries an estimate of $20,000-30,000 – figures that very well could prove to be conservative. 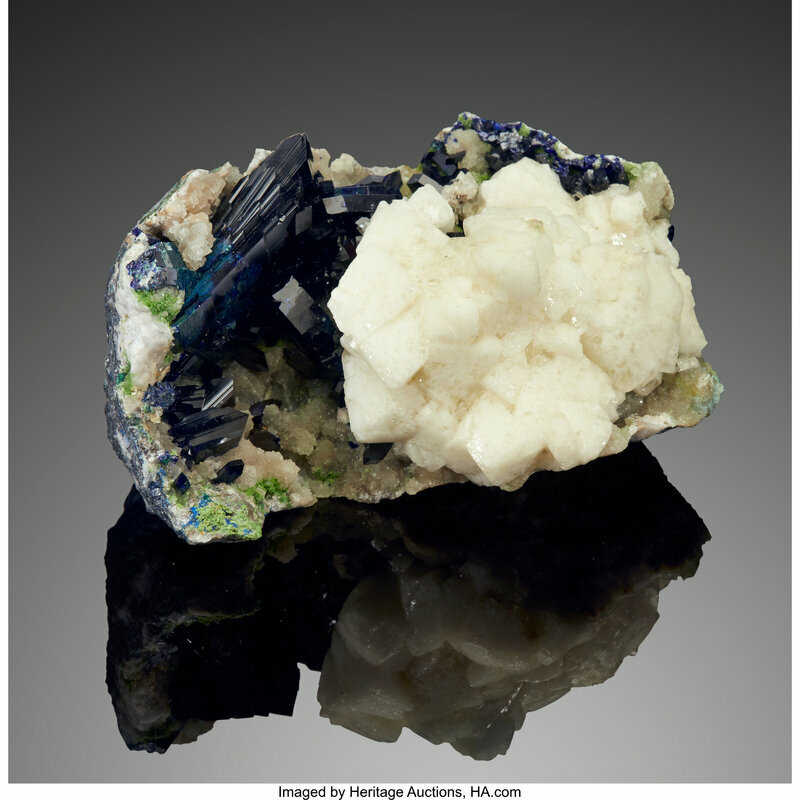 Featuring Azurite, Calcite and Smithsonite, as well as massive clouds of Tarnowitzite, this piece is from the world-renowned Tsumeb Mine in Namibia. Lot 72008. Azurite & Tarnowitzite, Tsumeb Mine (Tsumcorp Mine), Tsumeb, Oshikoto Region (Otjikoto Region), Namibia; 4.81 x 3.47 x 2.37 inches (12.21 x 8.81 x 6.02 cm). Estimate: $20,000 - $30,000. 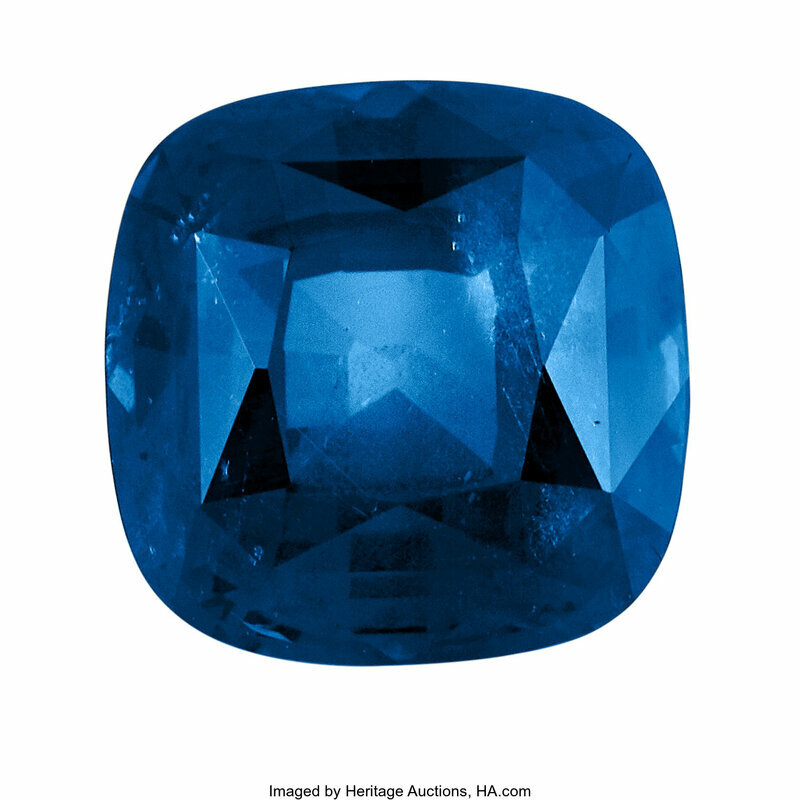 As one of the “big three” gemstones, this 7.44-carat Sapphire from Myanmar (estimate: $20,000-30,000) grabs the attention of collectors immediately. Cut in a cushion shape with a modified brilliant-cut crown and step-cut pavilion, the stone is unheated and GIA-certified. The blue color includes areas of violet. Lot 72064. Sapphire - 7.44 Cts, Myanmar, 10.39 x 10.31 x 7.47 mm, 7.44 cts. Accompanied by GIA Certificate #2185791664. Estimate: $20,000 - $30,000. Another Gold Nugget from Victoria, Australia (estimate: $20,000-30,000) is remarkable in both its beautiful appearance and its size (12.3 troy ounces, or 13.5 ounces or 382.7 grams). 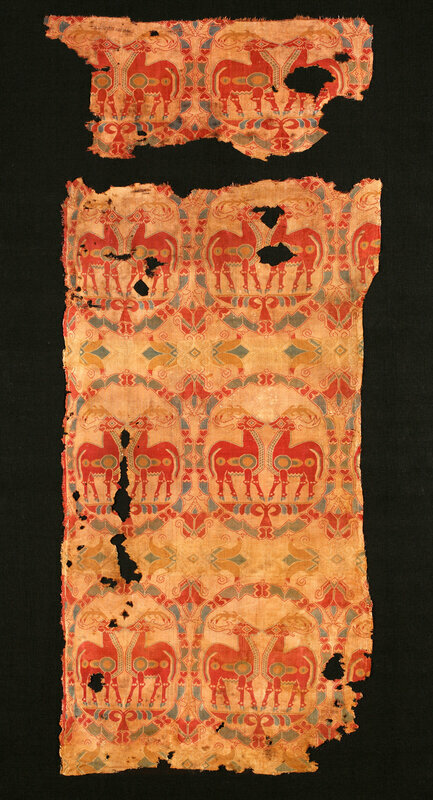 The nugget displays a duality of tone as a “skin” of yellow covers the mass of Gold in certain areas, giving the impression of a layered effect. Lot 72030. Gold Nugget, Victoria, Australia, 2.69 x 2.20 x 0.76 inches (6.83 x 5.60 x 1.92 cm), 382.7 grams (12.3 oz t). Estimate: $20,000 - $30,000. 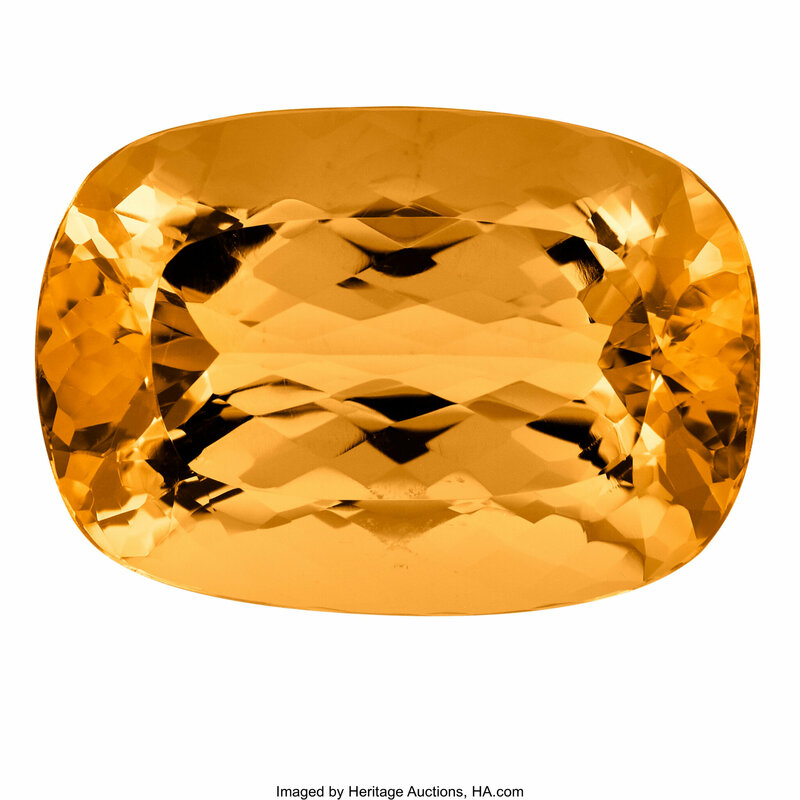 The size, alone, of a 36.04-carat Imperial Topaz from Brazil (estimate: $20,000-30,000) is enough to demand immediate attention, but this oval-shaped stone also boasts a rich, golden honey color that is saturated and exhibits areas of darker orange. The brilliant cut allows it to light up and present an abundance of scintillation. Lot 72075. Imperial Topaz - 36.04 Cts., Brazil, 23.8 x 16.53 x 11.11 mm, 36.04 cts. Estimate: $20,000 - $30,000. From the “Ross C. Lillie Collection of Illinois Minerals” comes this Fluorite from Minerva No. 1 Mine in the Cave-in-Rock Sub-District of Hardin County in Illinois (estimate: $20,000-30,000). Weighing 4.4 pounds (2 kilograms) and measuring 6 inches across the face, this specimen of well-formed cubes features rich colors, striking phantoms inside the major crystals and excellent luster over the rather clear Fluorite cubes. Lot 72009. 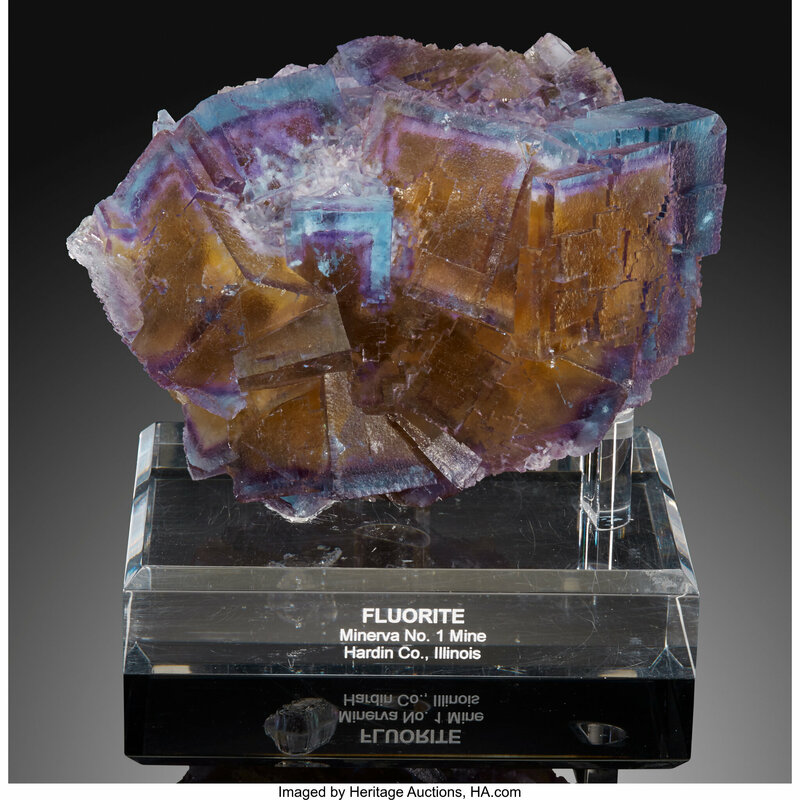 Fluorite, Minerva No. 1 Mine (Ozark-Mahoning No. 1 Mine), Ozark-Mahoning group, Cave-in-Rock, Cave-in-Rock Sub-District, Hardin Co., Illinois, USA;6.03 x 4.78 x 3.96 inches (15.31 x 12.15 x 10.07 cm). Estimate: $20,000 - $30,000. Lot 72168. 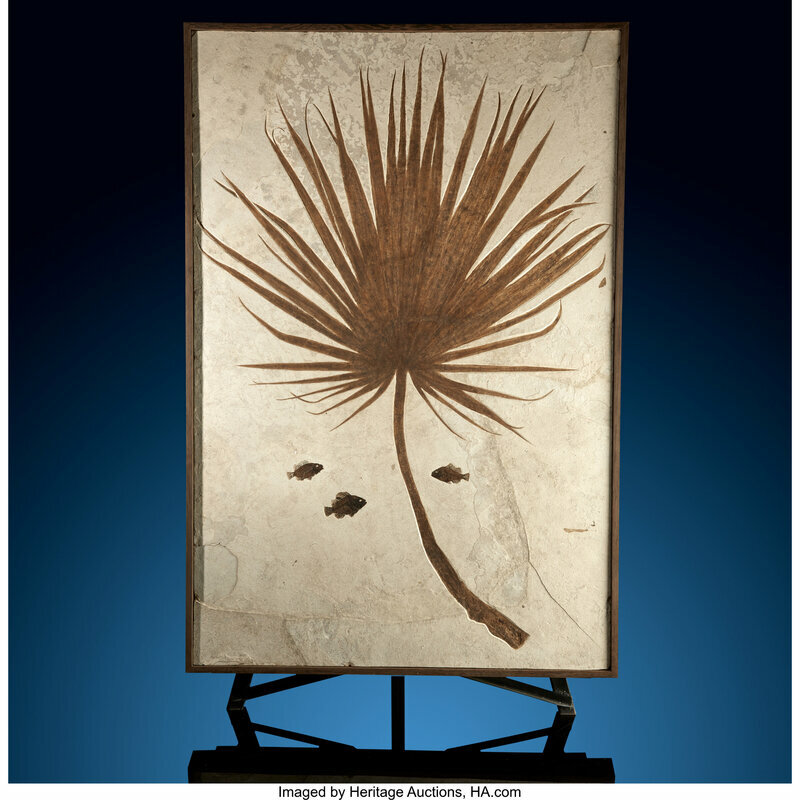 Fossil Palm Frond, Sabalites sp. and Priscacara sp., Eocence, Green River Formation, Wyoming, USA; 74.00 x 50.00 x 3.50 inches (187.96 x 127.00 x 8.89 cm). Estimate: $20,000 - $25,000. Lot 72206. 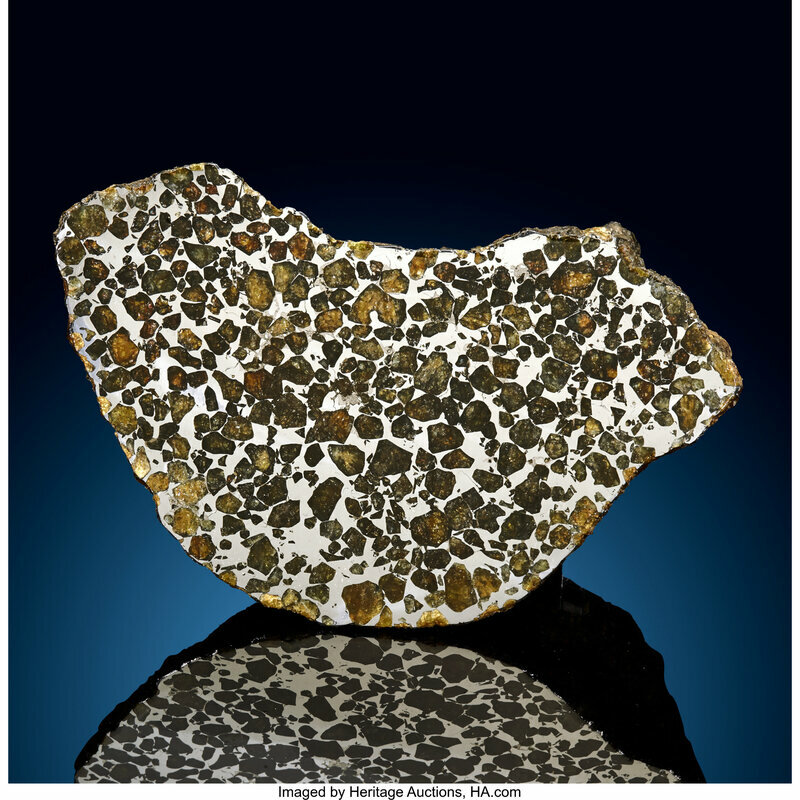 Seymchan Meteorite End Cut, Pallasite, PMG, Magadanskaya Oblast', Russia (62° 54'N, 152° 26'E). 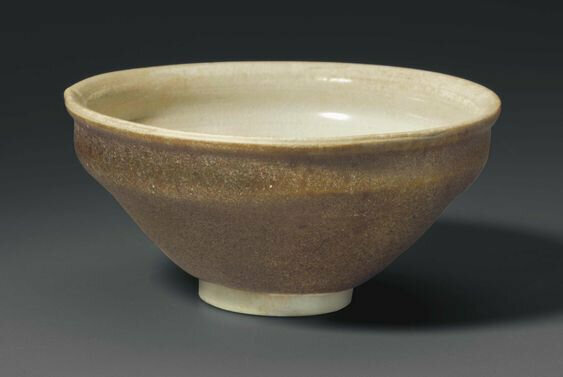 Found: June 1967; 6.85 x 4.53 x 3.20 inches (17.40 x 11.50 x 8.13 cm), 2.17 kilograms (4.78 pounds). Estimate: $10,000 - $15,000. Lot 72171. 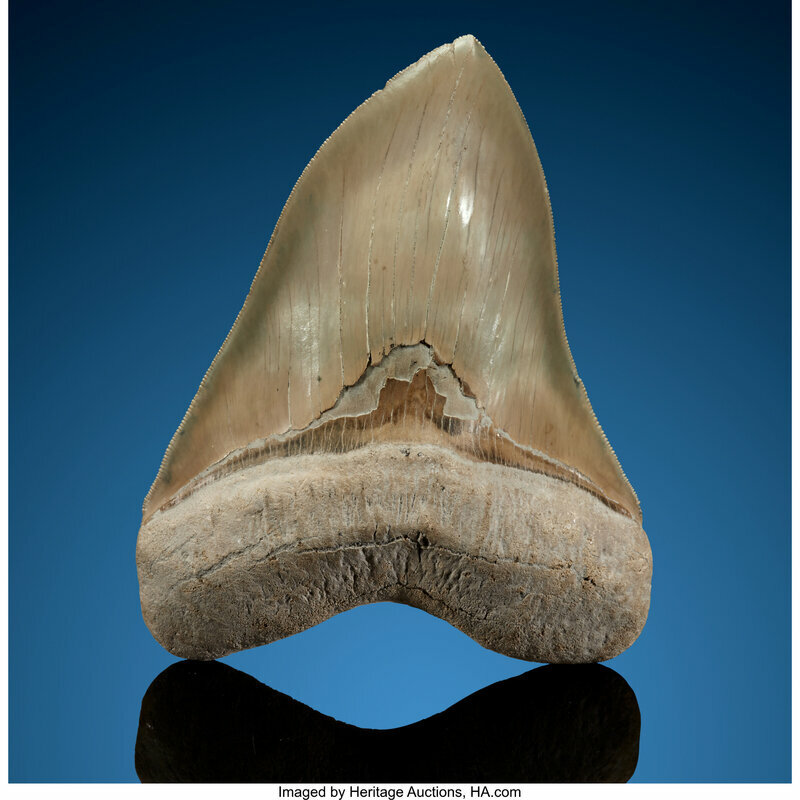 Megalodon Shark Tooth, Carcharocles megalodon, Pliocene, Lower Yorktown Formation, Lee Creek Mine, Aurora, North Carolina, USA; 6.10 x 4.52 x 1.17 inches (15.50 x 11.49 x 2.96 cm). Estimate: $5,000 - $7,000. Fluorite from denton mine, cave-in-rock, hardin county, illinois, usa.